THHEAVY (7206) succeed breakout RM0.965 strong resistance. 1. 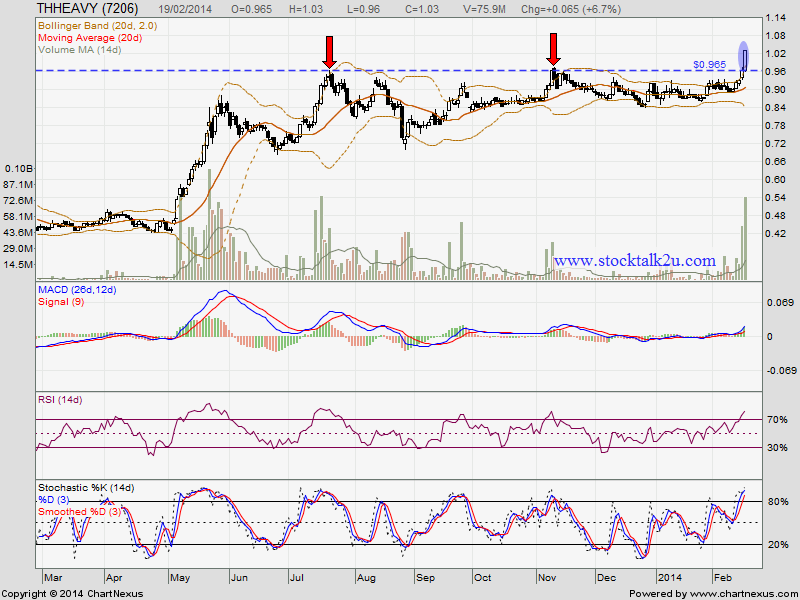 MACD trade at positive region, uptrend sign. 2. Stochastic %K on BUY call itinerary. It's an opportuniry if retest support. Immediate support @ RM0.965 level.